Folks. Sorry it’s been a bit quiet here this week but it’s simply that time of year. I don’t really get on with midwinter, especially when the wind’s blowing gloom and wet from the south west. Between that and the long hours/working environment I have a major loss of energy and ability to be bothered doing much at the moment. I think bears have the right idea personally! Notwithstanding, normal service will resume in about two weeks once the festivities are out of the way and I prepare for the oncoming year. 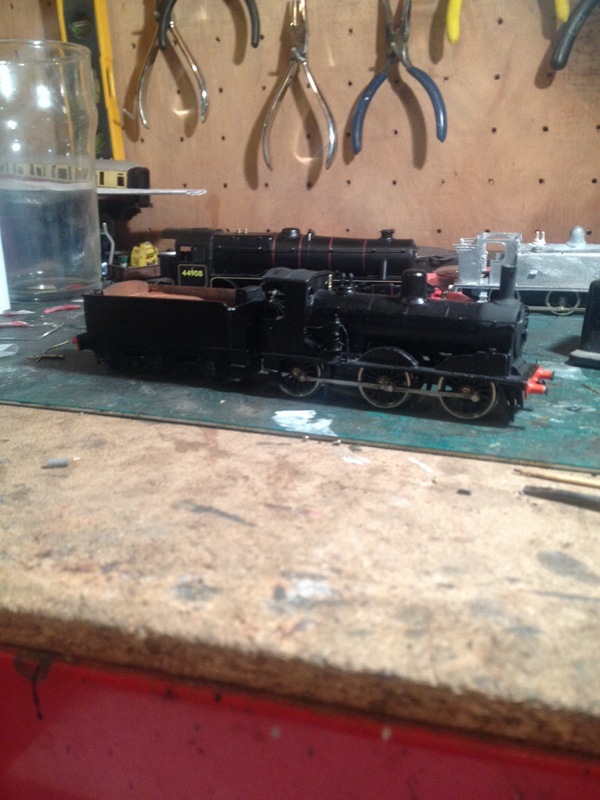 Meantime, I will put updates on should I be in a position to get any kind of modelling done. 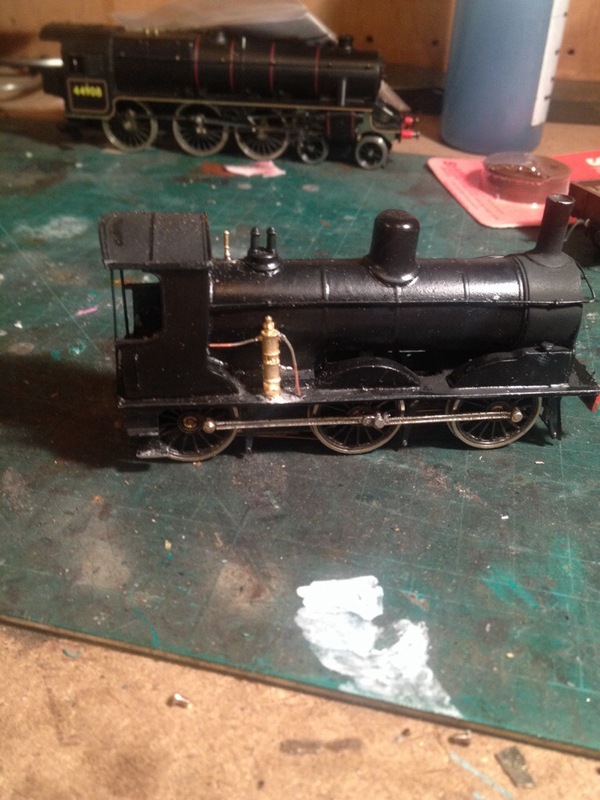 This week, I have advanced the Jumbo slightly with the addition of the Westinghouse pump on the Fireman’s side. 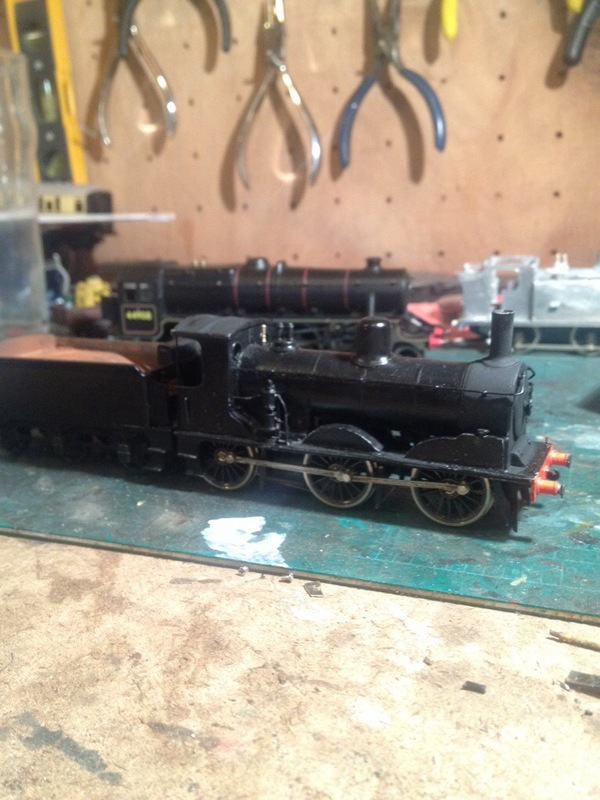 This will be followed by the pipe runs along the loco and tender footplate edge, installation of vac bags on the buffer beam and the representation of rivets where required. Final job will be attending to some issues in the cab. Thereafter; the joy of finishing! ← You’ve seen the model, now meet the real(ish) thing. No need to apologise, we all have lapses in enthusiasm for one reason or other. Hopefully a new year will bring some renewed vigour.